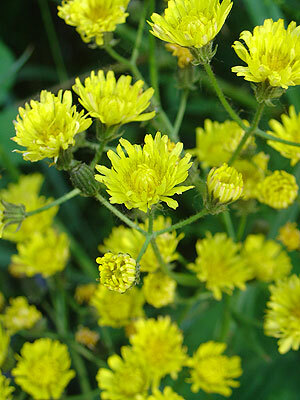 Beaked Hawksbeard is a tallish Dandelion-type plant with heads of yellow flowers, with the outer ones being orange beneath. It is found on fallow, arable land and is common on wasteland, on hedgerows, pathways and growing on walls. It is generally in flower before similar species, from late spring to mid summer.